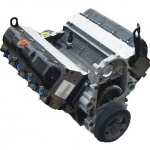 Brand New 6.5 Diesel Cylinder Head for all 6.5's in C/K trucks, Suburbans and Tahoes, 92-00. 6.5 Diesel Complete* Engine Gasket Set 1992-current. All vehicles. Premium Valve Cover Gasket Set for all 6.5's, all years, all vehicles. 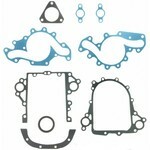 Timing Cover Gasket Set for all 6.5's, all years, all vehicles. 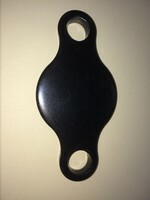 Rear Main Seal for all 6.5's, all years, all vehicles. 6.5 Diesel Intake Manifold gasket set. All 6.5 engines, all years, all vehicles, S or F engines. Fluidampr Fluid filled Main harmonic Balancer, all 6.5's 92-93 with manual fuel injection. Fluidampr Fluid filled Main harmonic Balancer, all 6.5's 94+ with electronic fuel injection. 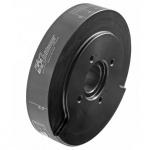 6.5 Main Harmonic Balancer for all 6.5's, 94 and newer, all vehicles. 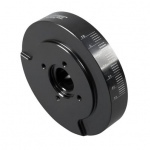 New HD Secondary Harmonic Balancer for all Serpentine belt drive 6.5's, all years. 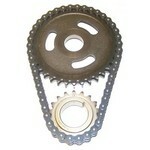 Oil Pump Drive for all 94-05 6.5's. Also 92-93's with std transmissions.All vehicles. Hydraulic Roller Lifter for all 6.5's, all years, all vehicles. 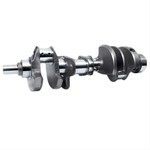 NEW Crankshaft for all 6.5TD engines S and F VIN code, all years, all vehicles. 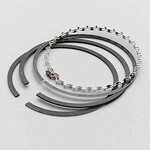 6.5TD Premium Piston Ring Set, all years, all model trucks. Sold per cylinder. 6.5TD Connecting Rod Bearing (set of 8) for all 6.5's in all trucks, all years. 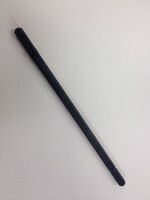 6.5 Intake/Exhaust Valve Lock (Keeper) set of 16. All models, all years. 6.5 Pushrod, all 6.5 engines, all years, all vehicles. 6.5TD Left Hand Valve Cover. All models, all years, all vehicles.